Q. for "Know your Kathmandu" for the month of Asar. Check yourself how well you know of the valley and share unique information that only you know about this place with others! 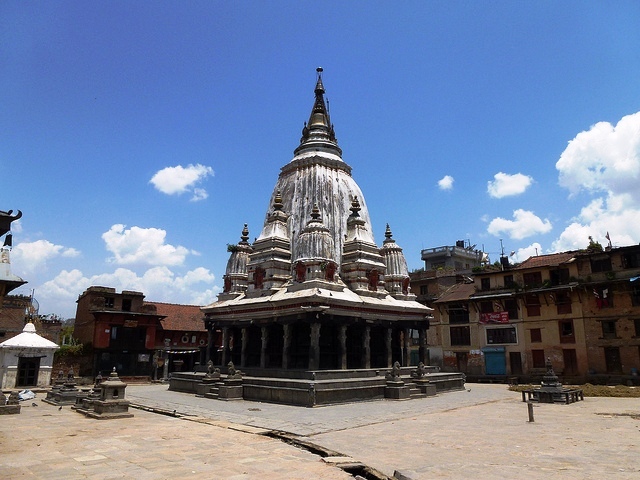 The temple is located in outskirt of Patan. This is one of the two temples where Rato Matsyendranath resides. This temple is situated at 5km SSW from the the other temple where the idol of Matsyendranath resides. The idol is brought to this temple after conclusion of chariot festival of Matyendranath, on the day of bhotojatra. The idol of Karunamaya stays in this temple till the beginning of next chariot festival, bungdyo jaatra. The god of Matsyendranath is also known by various names viz. Karunamaya, Arya Avalokiteshwora, Bungdyo, and variant Machhindranath.